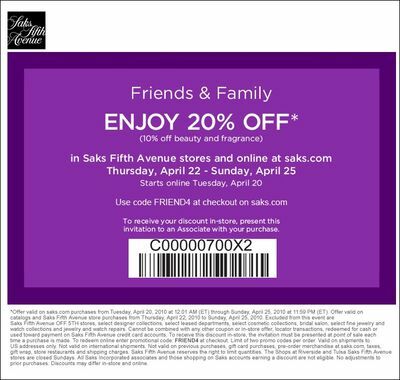 Saks Fifth Avenue has a Friends and Family Event coming up this week! You can order online Tuesday, April 20th or shop in-store starting Thursday, April 22nd – Sunday, April 25th. Print out the coupon below to save 20% (10% on beauty and fragrance). See coupon for details and exclusions. to benefit Children’s Hospital Boston. John Frieda’s Style On-Sight Mobile Salon Tour is one of many top salons participating in the cut-a-thon. To find participating salons and get complete information, go to: http://www.hairraising4chb.org/home.php. If you're like me, I love to find new beauty content on line. One new website to explore is Glo (www.Glo.com), a lifestyle site that focuses on style, beauty, living and relationships. It uses a unique technology that really makes it feel like you're reading a magazine. I like the scrapbook feature, which works as if you were tearing pages out of a magazine (one of my bad habits). stressed-out travelers. The free SpaFinder app is available from the App Store at http://www.spafinder.com/iphone. Have a great weekend! 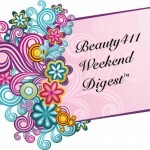 See you back at Beauty411 on Monday for more of the best in beauty. 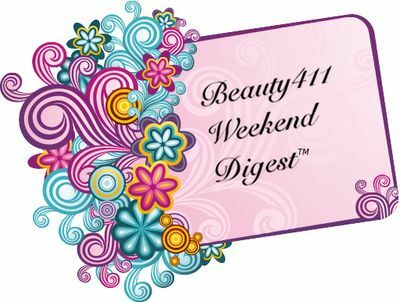 Beauty411 Weekend Digest – Friends and Family Edition!